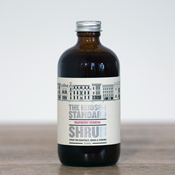 Shrubs originate from an early American tradition of blending fruit, spice, vinegar and sweetener to make a tart and delicious syrup. Shrubs make refreshing sodas, fantastic cocktail mixers and inspired ingredients in dishes. 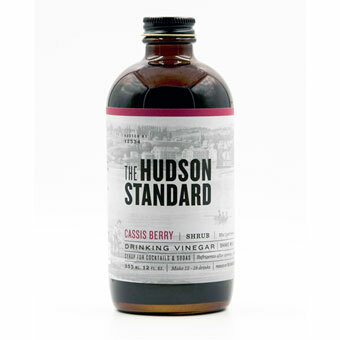 A favorite of Sharon's, our Saratoga Springs store manager, the gorgeous purple cassis berry shrub combines black currants, black raspberries and organic sugar with organic apple cider vinegar from the Finger Lakes region. 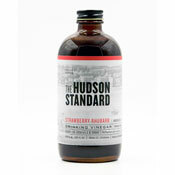 With a layered sweetness and hints of chocolate and jam, the shrub is as versatile as it is delicious. Pour 1/4 oz. in a champagne flute, top with prosecco and float a blackberry or two in the glass for a beautiful cocktail. Drizzle over vanilla ice cream topped with fresh berries for a stunning dessert. Mix 1 part shrub with 7 parts sparkling water for a refreshing shrub soda. Or use in a stunning sauce for duck.